Here are cute, round members of our garden. Mom-in-law received this big paper pot of green necklace from Mei-Shun, keeps as it is next to her cactus corner. Baby buds of opuntia greet them with shiny silver thorns still soft. 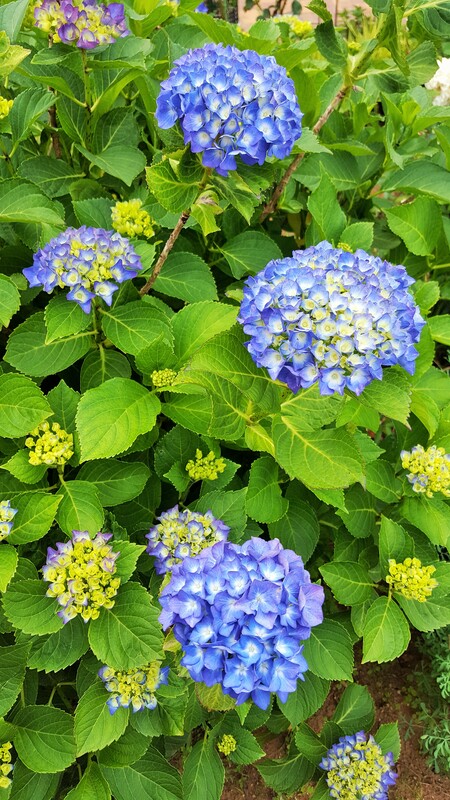 Looking forward to rainy season soon, blue hydrangea also holds a lot of little balls. May we expect many flowers after your interval of last year?